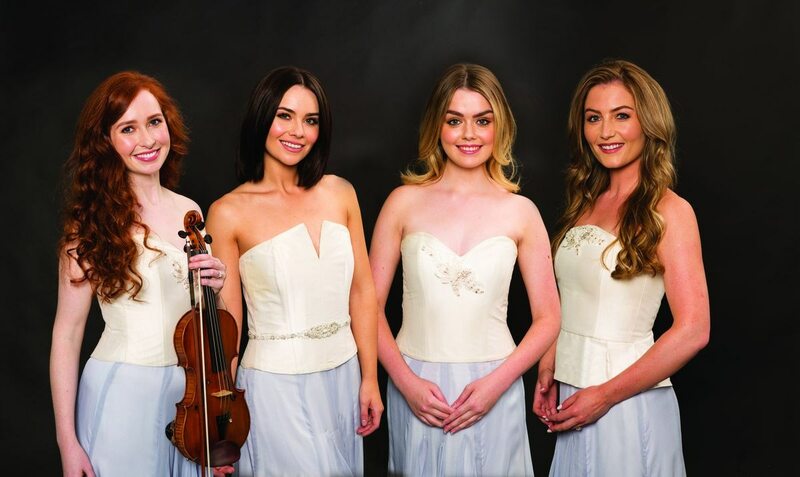 Being a member of Celtic Woman is a dream job for female Irish musicians. The four current members of the group can each recall the big break that led them to an audition with Celtic Woman’s record label. For Éabha McMahon, it was her first solo performance in New York. She was 24 and had just finished headlining a show when Celtic Woman sent her a Facebook message requesting she sing for them in her hometown of Dublin. Within the year, she was a Celtic Woman. Tara McNeill, the group’s violinist, remembers growing up watching Celtic Woman TV specials. When an opportunity to play the harp for Celtic Woman’s “Destiny” special came up, McNeill said, “I was just delighted to be involved in the group in any way that I could.” By the next year, Celtic Woman had asked McNeill to audition for the fiddle position. Mairéad Carlin is now the most senior member of the group, but she remembers meeting a man who worked for Celtic Woman after she had performed in New York for the Ireland America Fund. She gave him her recently recorded album and waited to hear back. “Six months passed and I didn’t hear a thing, but then once one of the members decided to pursue their solo career, I got the call to come in and sing for the powers that be,” Carlin said. The fourth and newest member of Celtic Woman is Megan Walsh. The "Best of Christmas” show is her first time touring the United States with the group. She said she was studying in London when a former member of Celtic Woman invited her to sing for the musical director and vocal director. Celtic Woman made its debut as a group in 2005 and has continued to perform with new members over the years. They are a household name in Ireland, and Celtic Woman uses its international platform to showcase Irish culture and sound. The group has performed on six continents, in over 23 countries and for three U.S presidents. Celtic Woman will be back in Anchorage for their “Best of Christmas Tour” on Friday. In 2014, the group came to Anchorage with three sold-out shows and a specially added fourth performance to meet the demand. Celtic Woman’s sound isn’t all jigs and reels, but it is full of ornamentation and storytelling. The Celtic Woman musical arrangements have dominated the world music genre with their debut CD reaching a No. 1 ranking on Billboard’s World Music Chart for 81 weeks in 2005. That rank wasn’t replaced until Celtic Woman released their “A Christmas Celebration” album in 2006. One of the highlights of Celtic Woman’s most recent American tours is meeting Irish-Americans who view Celtic Woman as a way of reconnecting with their Irish heritage. “(We) do meet people and they’re like, ‘I moved to America 50 years ago, and I haven’t been home since.’ And they’ll say this music is what brings them a little bit of home once a year, and that means so much to us,” McMahon said. One of the things that distinguishes the “Best of Christmas Tour” from Celtic Woman’s other performances, like their “Ancient Lands” album tour, is the inclusion of local orchestras. Their Alaska performance will be accompanied by the Anchorage Symphony Orchestra. Celtic Woman and ASO will start collaborating the day before the first show and do one full rehearsal before the curtain rises Friday night. The song lineup will include recognizable holiday favorites like “White Christmas.” Unlike typical Anchorage winters, McMahon says Ireland never really has the traditional depiction of a white Christmas. “Because it doesn’t snow, it doesn’t look like Christmas, but Irish people go all out to make it look like Christmas,” McMahon said.